The first thing we did as we sat down in front of our computers to write this book was to think about life as it is today. For a while, instead of writing, we chatted about common values that seem to be fashionable and respected. We thought about the way that today many people place a high value on independence and self-sufficiency. We ourselves are people who value our independence and pride ourselves on being self-sufficient. 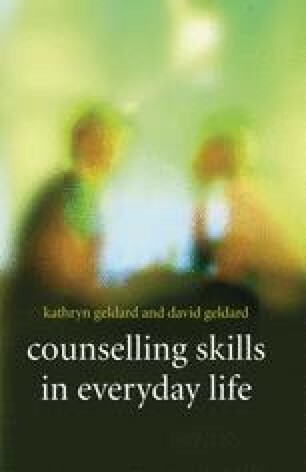 We work for ourselves in our own counselling practice and as writers and trainers. Even so, we recognise that at times we need to seek each other’s or someone else’s help. We think that it is sensible for us to value our boundaries and to generally be independent, but to be flexible enough to look for and/or accept help when we need it.